The shock clock wake up trainer is the first ever device that uses proven psychological principles paired with haptic feedback (beep, vibration) and electric biofeedback (zap sensation) to train your brain to be a "morning person". Already used by thousands of people who want to wake up on time (without hitting snooze. Ever!) and get out of bed feeling rested & energized. Simply set the alarm for the time you want to wake up, choose your alarm type (beep, vibration, electric biofeedback or any combination of them) and then fall asleep shock clock wake up trainer will teach your brain to become alert & awake at the time you chose. Manufacturer: Behavioral Technology Group, Inc. Publisher: Behavioral Technology Group, Inc. Studio: Behavioral Technology Group, Inc. 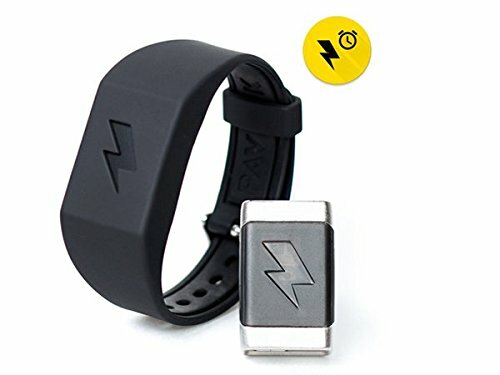 If you have any questions about this product by Pavlok, contact us by completing and submitting the form below. If you are looking for a specif part number, please include it with your message.